MOTHER'S Day gifts from students at a school in Canada will have to be literally home-made this year after they cancelled Mother's Day preparations in a controversial move attracting attention world-wide. 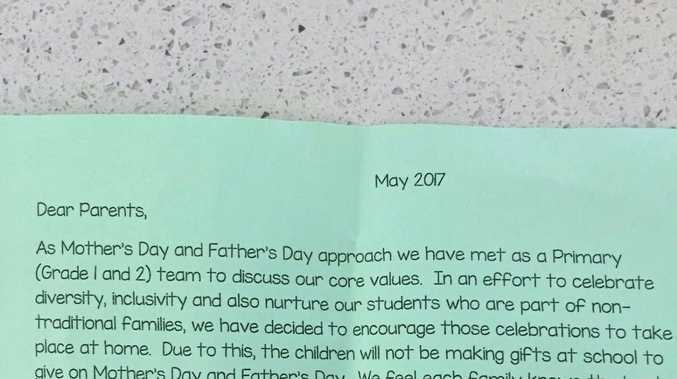 The school in Mission, British Colombia, sent home a letter with children last week informing them of the decision to cancel the celebration in order to "nurture our students who are part of non-traditional families." The decision was made after a group of grade 1 and 2 teachers at Albert McMahon Elementary got together to discuss the upcoming holidays. "In an effort to celebrate diversity, inclusivity, and also to nurture our students who are part of non-traditional families, we have decided to encourage those celebrations to take place at home. Due to this, the children will not be making gifts at school to make on Mother's and Father's day. We feel each family knows the best way to celebrate with their own family." One parent at the school, Roy Glebe, received the letter and shared it on his Facebook page. 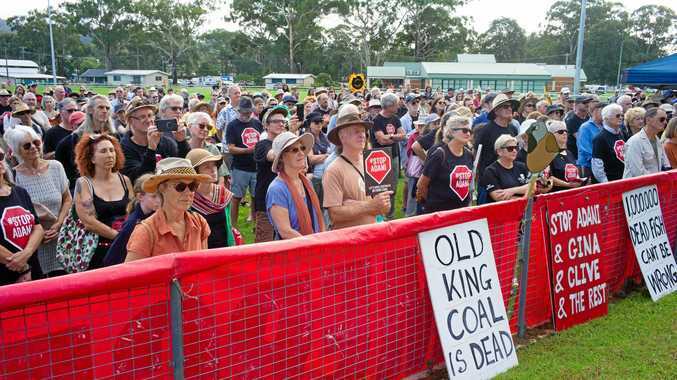 "I wasn't trying to hang the school out, I literally posted it for discussion," said Glebe. He said the school didn't discuss the issue with parents and says he did find that "a little odd." "I think they could have found a better way for all the kids to participate instead of saying no to everybody," he said. Glebe said he and his wife were upset about it because their child, who is in Grade 2, is their last child and he said his wife was excited for her child to have Mother's Day. "The way my wife describes it, is the look on your child's face after working for weeks and weeks and coming out [of school] and all of the secrets and everything else, and they're finally able to show you this thing that they've not been able to talk about for weeks and weeks; that to [us] is special," said Glebe. It was a controversial decision. Some though agreed with the ban. "It's such a hard day for children who have lost their mothers," wrote one woman on Facebook "My granddaughter doesn't want to go to school on that day! Breast cancer took her mother!" Another: "I can't believe how many people think this is a bad thing - this is BRILLIANT. At school there was always one student whose mother/father had died or abandoned them and they would be in tears at the mention of these holidays. "Not to mention, as part of a blended family support group, I've seen so many step mothers suffering, dreading the school Mother's Day crafts, which are only made for the "real" mother, and not for them. Even if they love and care for the children the same way a real Mum would do." "I can't see anything wrong with these holidays being celebrated at home. Your wife/husband/other family member can surely coordinate some tacky arts and crafts if it's so important." But others, many, many others decreed the idea saying it was "political correctness gone mad" and the "ultimate nanny state." "So very sad for all the mums or loved one that nurtures our kids! I still own a special little box and wrapped up with pretty paper and ribbons given to me by my now 20 yr old boy! Inside is a little boys single kiss for his mummy! So precious to me to this day. " It's not the first time such celebrations have been cancelled. In 2013 a school in Nova Scotia, also in Canada cancelled Mother's Day and Father's Day celebrations and replaced them with a "Family Day" commemoration. The school chose to observe the International Day of Families, an annual event that is recognized by the United Nations (it falls on May 15).